Fall means hiking, changing leaves.. and pumpkins! There aren't many veggies that provide so much versatility in cooking. Pumpkin can be enjoyed for breakfast, dinner or dessert! 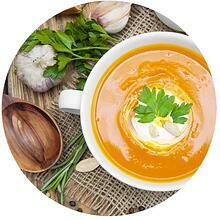 Below are a few of our favorite healthy pumpkin recipes for Fall! This simple, 7-ingredient pumpkin soup is as healthy as it is easy to make - and perfectly satisfaying for chillier weather. Preheat oven to 350 degrees F (176 C) and line a baking sheet with parchment paper. Using a sharp knife, cut off the tops of two sugar pumpkins and then halve them. Use a sharp spoon to scrape out all of the seeds and strings (see notes for a link to roasting seeds). 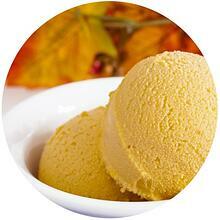 This ice cream is not only simply to make, but tastes like frozen pumpkin pie!